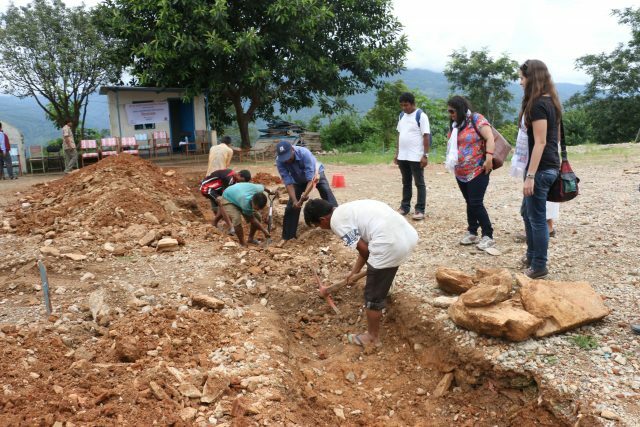 The hostel construction for the differently able children at Sangachowk, in Sindhupalchowk District started on 29th July 2016. The District Education Officer along with other Govt officials, the School Principal and School Management Committee were present for the occasion. Fr. Boniface Tigga, SJ took the chair of the chief guest while the NJSI team joined Ms. Francesca and Ms. Tulasa, representatives of the donor Agency, Amici dei Bambini, as special guests.